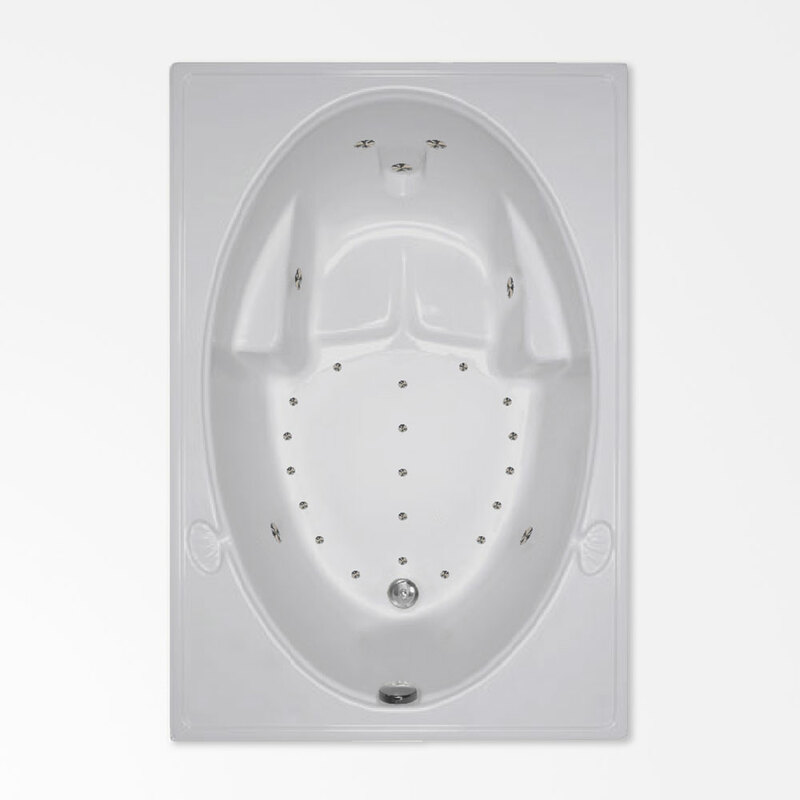 Designed for extra comfort and practicality, the 60 x 42 RM air tub is a stylish option for your bathroom. Unwind from a long day and let the water, aerated with millions of heated air bubbles, mildly release the tension you feel. The sculpted seat and armrests hug your body as you recline against its curved back. The sizable deck leaves ample room for fixtures and includes twin built-in soap dishes. Because of its rectangular deck, this tub is ideal for a tub/shower combination in a bathroom alcove, but you won’t feel crowded because of its extra width. Its oval bathing well lends a refined quality to its design.